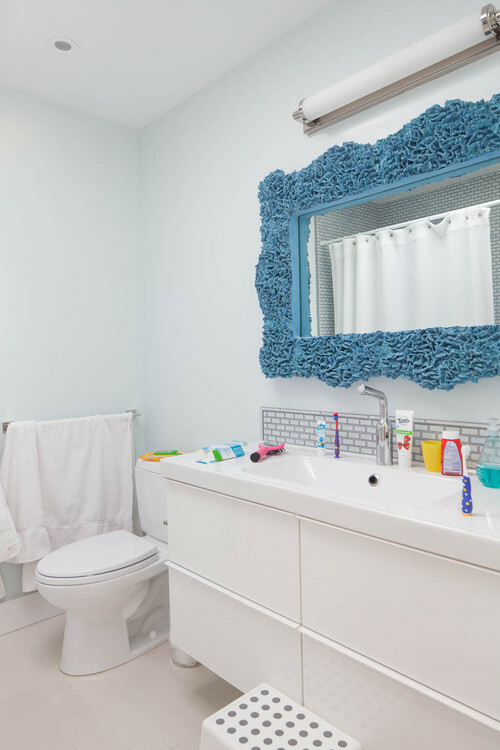 Whether you have a dedicated kids’ bathroom or share space with the pint-size set, keeping track of whose soggy towel is whose can be made easier — and more fun — with a few smart design moves and cheerful touches. From double (or triple!) 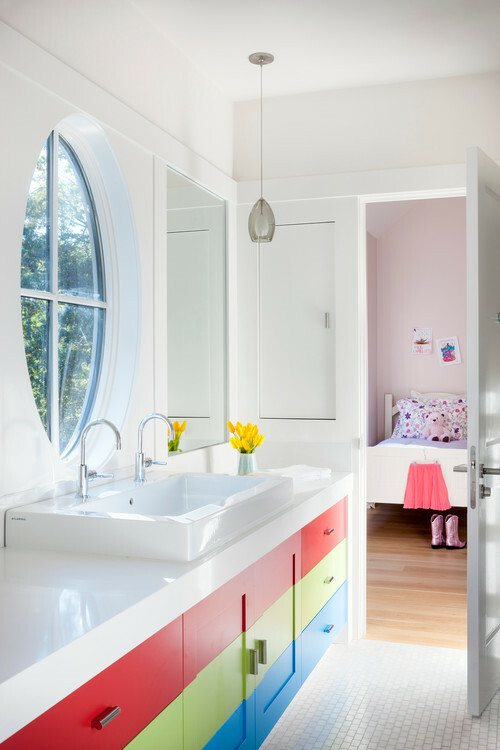 sinks to tub-side seats and rainbow-inspired color palettes, see which of these ideas appeals to you and yours. 1. Label with letters and colors. Make each child’s towel or toiletries easier to keep track of with colorful monogram labels or hooks (even the littlest ones can remember which color is theirs). 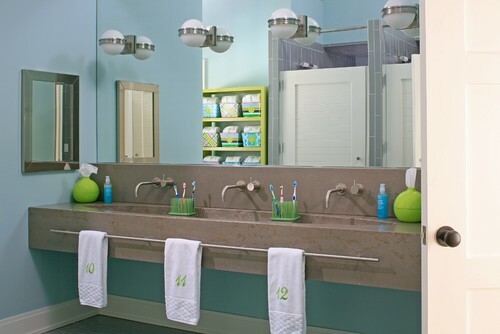 Repeat the color coding by assigning a differently hued towel to each child — so helpful for telling whose is whose when the towels are off the hooks. 2. Brighten up the vanity with rainbow stripes. 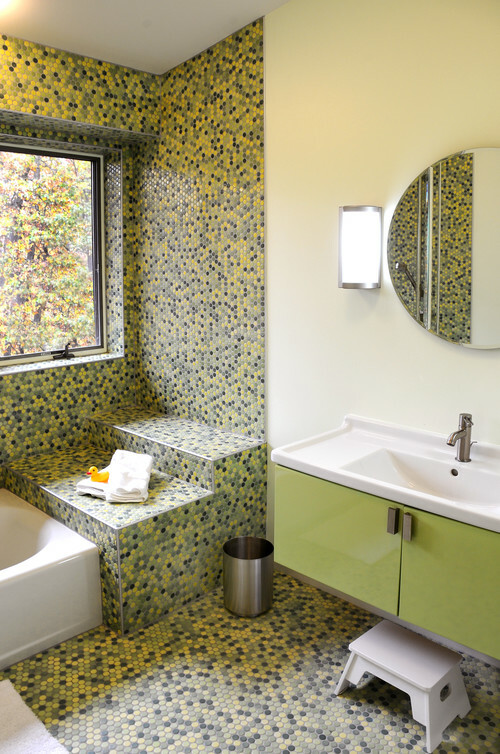 It might feel like too much for the master suite, but in the kids’ bathroom, a few bold strokes of color feel fresh and modern. For a subtler but still peppy take, choose shades of a single hue for an ombré effect. 3. Roll out a colorful mat. 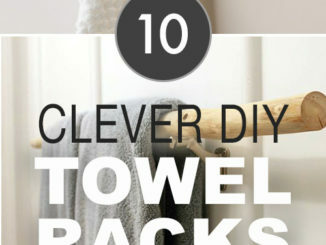 For a simple change, try rethinking the bath mat. As long as it’s washable or easy to wipe down, anything goes: colorful cotton stripes, a vibrant indoor-outdoor mat or even carpet tiles. 5. Make room for one more at the sink. 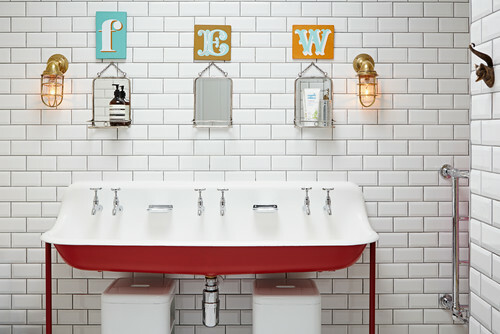 If one bathroom must serve a crowd of kids, fitting in a double — or even triple — sink can be a great help. Get those teeth brushed and hands washed in record time! If you can’t add a sink, moving some of the activities usually done sink-side (like brushing hair) to another area can help free up space for kids who need it. 6. 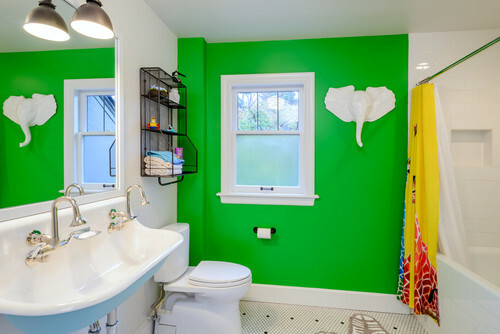 Put a bright kids’ chair near the tub. A little chair can come in quite handy in the bathroom. It’s perfect for holding towels or a basket of bath toys within arm’s reach, and can provide a perch for a sibling or parent at bath time. Scoop up a single stray chair at a yard sale and paint it to match your bathroom color scheme. 7. Build in a tub-side seat. 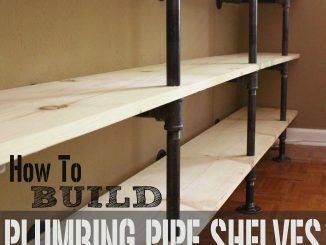 If you’re planning a bathroom remodel, why not include a built-in seat? 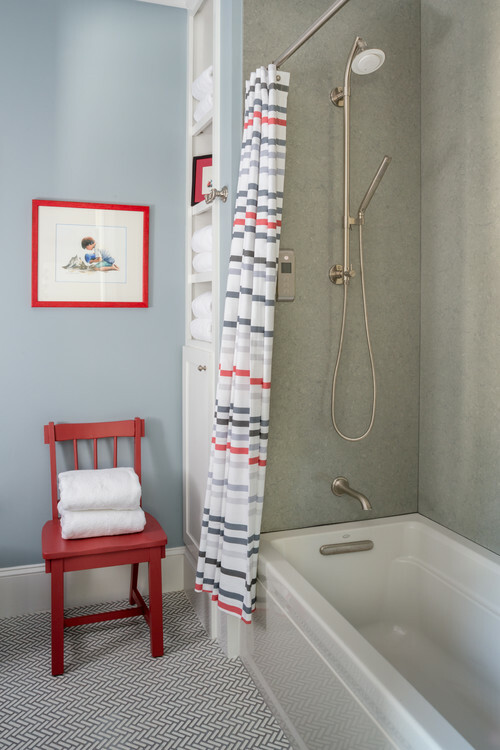 Like a fancier version of the tub-side chair, a built-in seat gives the parent a place to sit during bath time and offers ample room for a burgeoning collection of bath toys and stacks of fluffy towels. 9. Stow necessities in drawers instead of in a medicine cabinet. Stash extra soap and toothpaste in drawers instead of a cabinet, where they will be easier for little ones to reach. Actual medicines shouldn’t be stored in the bathroom anyway — keep prescriptions and over-the-counter medications in a cabinet secured with a childproof latch in the hall or kitchen instead. 11. Go bold with a bright wall color. Painting a single bathroom wall doesn’t take much time or money, and it can always be painted over. And if you’re inclined to let your wee ones pick a color, a single (small) wall is a good place to test it out. 13. 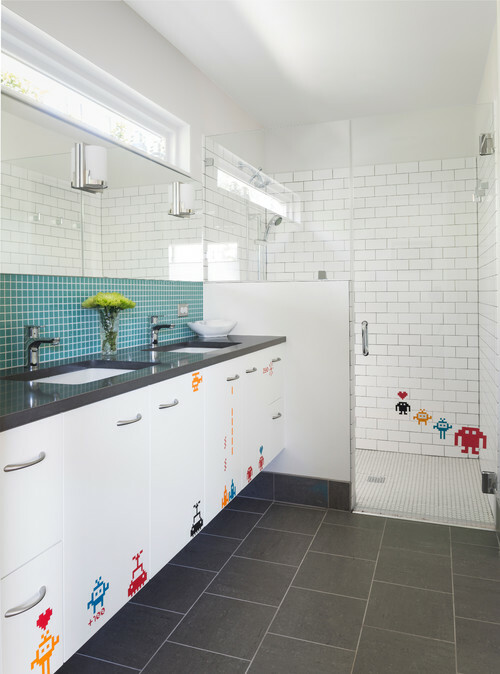 Personalize the space with decals. For an instant update your kids can help with, order a set of fun, removable wall decals and let little ones stick them on the bathroom walls and cabinets. Make sure the decals you are choosing are suitable for use in the humid conditions of the bathroom — most vinyl decals should be fine, but fabric ones are better used in bedrooms.